Keystone, Florida is a fast-growing, unincorporated area in the northwest corner of Hillsborough County between Oldsmar, Westchase and Trinity. The area features a combination of new, upscale neighborhoods and individual homes nestled between lakes and cypress preserves. If you're seeking a Keystone pool builder to turn your property into the perfect Keystone outdoor living space for your family, we encourage you to consider Grand Vista Pools. 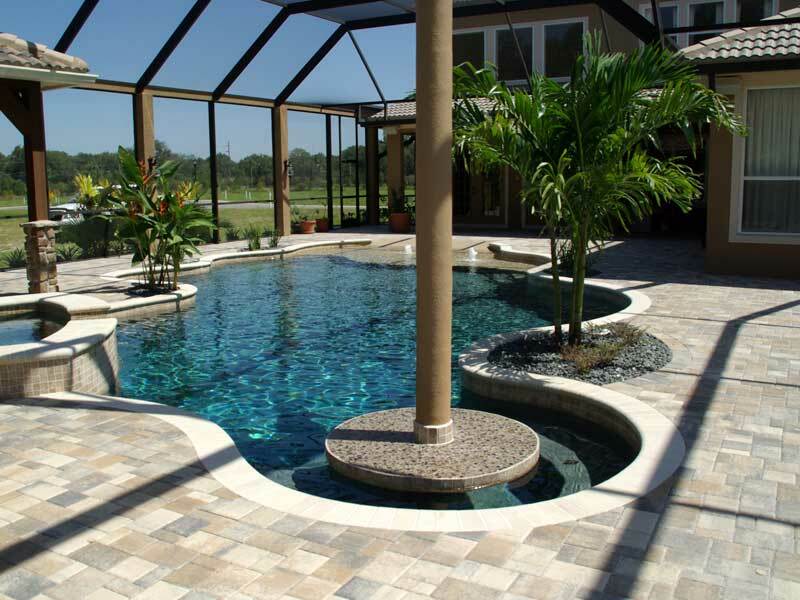 We've been building new swimming pools in Keystone, Florida for many years. Do you have an older swimming pool that needs remodeling? Want to add a spa? Would you like to add lighting, water or fire features? We can do everything from pool resurfacing to an extreme makeover. Grand Vista Pools also specializes in designing and building Keystone outdoor kitchens. If you can dream it, we can build it - from a gas or charcoal outdoor grill to a full-featured kitchen to a beautiful outdoor bar.